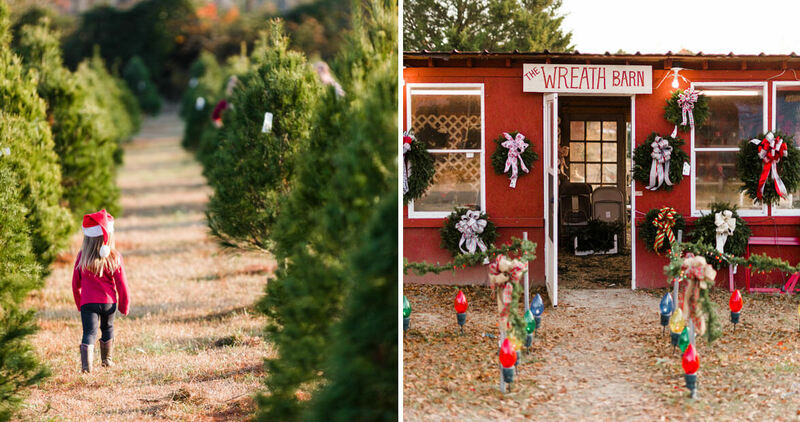 At this multigenerational family farm, neighbors share home-cooked meals, volunteers line up Christmas trees, and familiar faces greet customers year after year. A transformation takes place at Justice Farms as the holidays draw near. The summer heat has dissipated, along with the kids swinging buckets of blueberries in the pick-your-own patch. Now, strings of lights twinkle atop the barn, handmade wreaths hang around the shop, and, on land that used to grow cabbage, collards, onions, and okra, an unusual crop for coastal Carolina is ready to be harvested. Today, Justice Farms grows about 3,000 white pines, Leyland cypresses, Green Giants, Mummy firs, and Blue Ices — varieties that have adapted well to a coastal environment — on 10 acres of land that have been in the family since the Civil War. But those trees are only a quarter of what they sell every year. 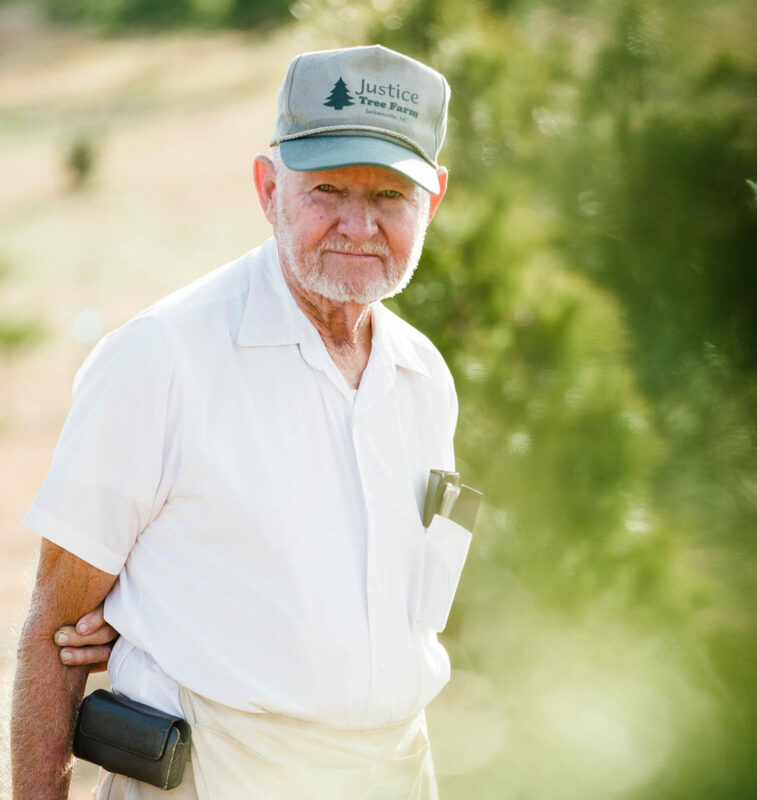 The farm also welcomes a massive delivery of Fraser firs from the mountains, unloaded by military volunteers who drive over from Camp Lejeune in return for big, home-cooked meals that Justice whips up himself. Nearly 30 neighbors also turn up to help — or just to watch and eat. Justice has seen many of them grow from babyhood into this jolly, once-a-year workforce paid in scrambled eggs and baked beans. These helpers unload hundreds of fir trees. But it’s the trees that his family shears, trims, tags, and mows around that Justice says remind him of people. Some are strong and some die young. Some are beautiful, and others? Well, there seems to be someone out there for everyone. Like the group who specifically asked for the ugliest tree on the farm. They laughed the whole time as they tied the squat little thing to the top of their car and drove off. There’s the family that arrives every year blasting Christmas carols. “I don’t know what they’re drinking, but they always have a good time,” Justice says. And Hinson chuckles thinking of the long-bearded “tie guy,” who wears a big, long tie and smokes a cigar as he wordlessly wanders the rows of trees every year until he finds his perfect match. Others drive from hours away for the chance to cut down their own tree or take home the variety they grew up sitting around on Christmas mornings. Like the man who called from Myrtle Beach, South Carolina, to ask if Justice grew white pines. Two hours later, he was pulling up in the driveway. Then there are the families whose visits to Justice Farms are more sobering. The Marine families who want to celebrate the holidays before a loved one departs for a deployment. 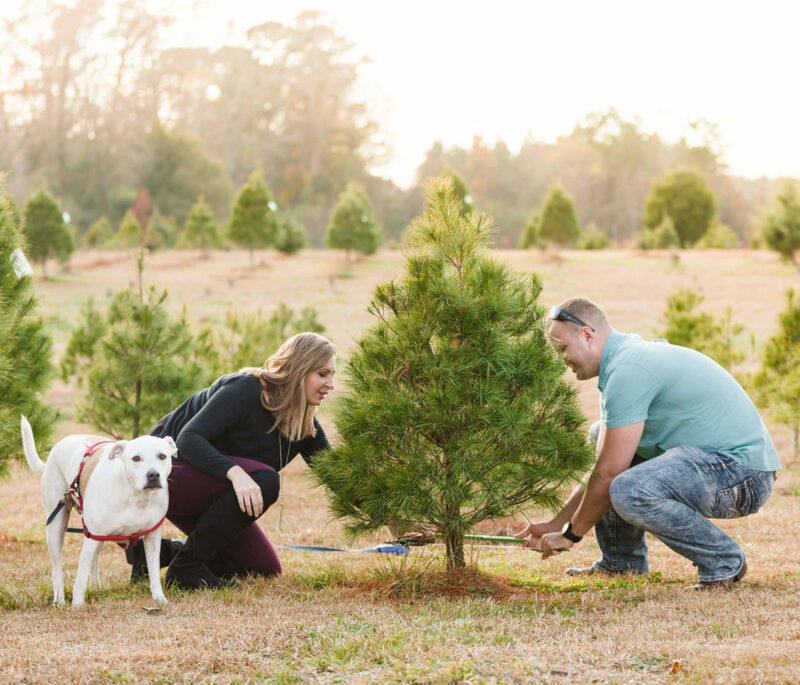 The family who came to pick out a tree in the summertime so they could give their son one last Christmas before he succumbed to a terminal illness. And the woman whose home in Kinston had flooded; she’d lost everything and couldn’t pay for a tree. But Justice gave her one anyway. Lights, too. “You just try to make sure they have something at Christmas,” he says. Maybe that’s one reason why people come here year after year. They appreciate that Justice doesn’t just treat trees like people. He treats people like family. Every car gets a greeting from one of the Justice grandkids or cousins, and kids get to shake jingle bells as they ride the pickle-barrel train, pulled by a lawn mower, for free. If a customer holds up the line of cars because he wants to talk, Justice listens. Everyone who buys a tree gets a card in the mail the next year, inviting them back to the farm.